One of the things I like about LinkedIn is it gives you the ability to express yourself through language and images. Job seekers can take advantage of this to give hiring authorities an idea of their personalities. Resumes, on the other hand, don’t offer as much room for self-expression. One of my clients uses as a background image a picture of herself standing in front of a snowy mountain. She told me this image accurately reflects her love of hiking. The picture is also professionally relevant — she was working for Appalachian Mountain Club when she put it up. On the flip side, if your profile doesn’t sport a background image, visitors may assume you don’t care much about your LinkedIn profile — and, by extension, your professional brand. If your profile doesn’t have a background image and you’re looking for a quick fix, try LinkedIn Background. The most important rules for your profile photo are that it includes only you, is of high quality, matches your occupation, and expresses your personality. When I talk to my workshop attendees about their profile photos, I stress that they should use professional images. This doesn’t mean you have to be dressed in suit and tie or blouse. However, the photo should reflect your personality in a positive light. Your headline is what people see on their timeline, along with your photo. So, your headline should entice members to click on your profile. A headline like “Project Manager at IBM” doesn’t do a great job of selling your value, and it certainly doesn’t express your voice. Ask me how I can meet aggressive deadlines for delivering quality products on time and under budget! The branding statement is meant to pique interest and is more conversational. If your goal is to optimize your profile for LinkedIn searches, the keyword-based headline is the way to go. This section differs greatly from your resume in voice. On your resume, you need to be brief while demonstrating value. Your LinkedIn profile summary, however, does not need to be so concerned with space. - Why and for whom you do what you do: Do you work for company growth? To help people? Of course, there are other ways to structure your summary, but what’s important is using words and phrases that express your voice and give readers a sense of your personality. This is as simple as using first- or third-person point of view. A summary that lacks a clear point of view will resemble the bland style of a typical resume. This section of your profile is often overlooked — but not by me. I always check to see if people have published posts on LinkedIn. You don’t have to be an author in order to create an article and publish it on LinkedIn. However, you should be sure to share information that is relevant and of value to your audience. I also don’t overlook a LinkedIn member’s activity on LinkedIn. You can learn a great deal about a person’s voice by reading their shared updates. Your voice should be personal, but within professional bounds. There will always be people who share updates better suited for Facebook. Don’t be that person. Many people will simply copy what they have on their resume and paste it to their profile. This is a good start, but it’s only a start. You’ll want to personalize the basic facts of your resume with a clear point of view. I’m more than a workshop facilitator and designer. I’m a career and LinkedIn strategist who constantly thinks of ways to better market my customers in their job searches. Through disseminating trending job-search strategies, I increase our customers’ chances of finding jobs. - If you want to move FORWARD in your career, generate increased recognition, and escalate your earning power with value-driven career tools = let’s talk. - My RESUMES differentiate executive candidates from the competition. For 14+ years, I’ve supported the careers of global C-suite executives, VPs, Directors, Managers, and top professionals through captivating executive resume writing. Your experience in college or high school wasn’t all about studying, was it? On your resume, you may have to stick to basic educational information such as institution, location, degree, etc. On the other hand, LinkedIn encourages you to describe what was going on during the time you were in school. For example, if you earned your bachelor’s while working full-time, flaunt it! Perhaps you were a scholar athlete — express your voice by describing that experience. Many of us don’t include volunteer experience on our resumes, especially when we are trying to conserve space. 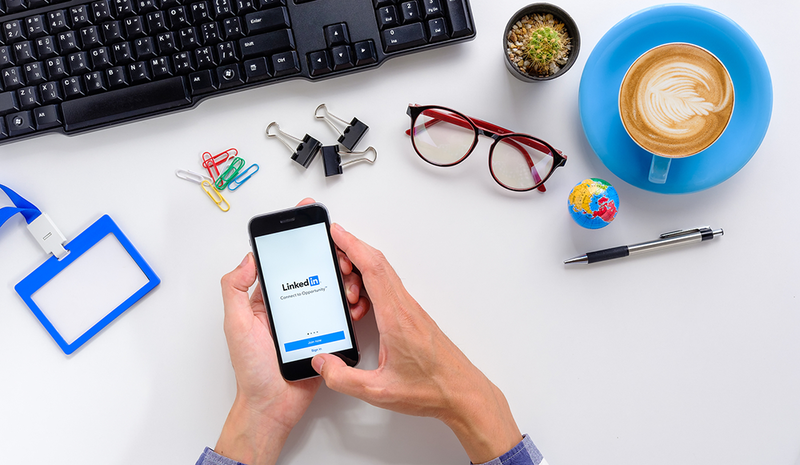 There is no space issue with your LinkedIn profile, so don’t miss the opportunity to express your voice in this area. Whether you volunteer at a homeless shelter, use your coding skills to develop websites for nonprofits, or — like me — help your alma mater with its Career Expo Night, you should take the opportunity to describe your volunteering and how it has affected your life. You have the opportunity to express your voice on your LinkedIn profile in numerous ways. Don’t squander this opportunity! Yes, you must showcase the value you can create for employers, but hiring authorities want to know you as a whole person. What better way to do this than by using your voice?